The Puget Sound Fund is the university's super power. With support from Loggers like you, the fund fuels the innovative programs, scholarships, and resources that make this place exceptional, and it propels us toward our purpose—to liberate each person's fullest intellectual and human potential, and to assist in the unfolding of creative and useful lives. When you give to the Puget Sound Fund, you empower exceptional students to reach great heights. "I want to advocate for young people with learning challenges." Grace is a senior studying psychology and communications and an advocate and mentor for youth with ADHD and other learning disabilities. 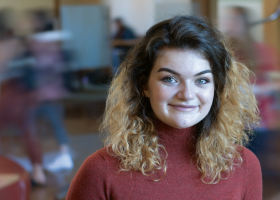 At Puget Sound, she's had the opportunity to study the psychology of ADHD and apply that science to her advocacy work as well as a new book she has co-written.When you make a gift to the Alumni Fund Scholarship, you empower exceptional students like Grace to reach new heights. "I want to make the world a better place." 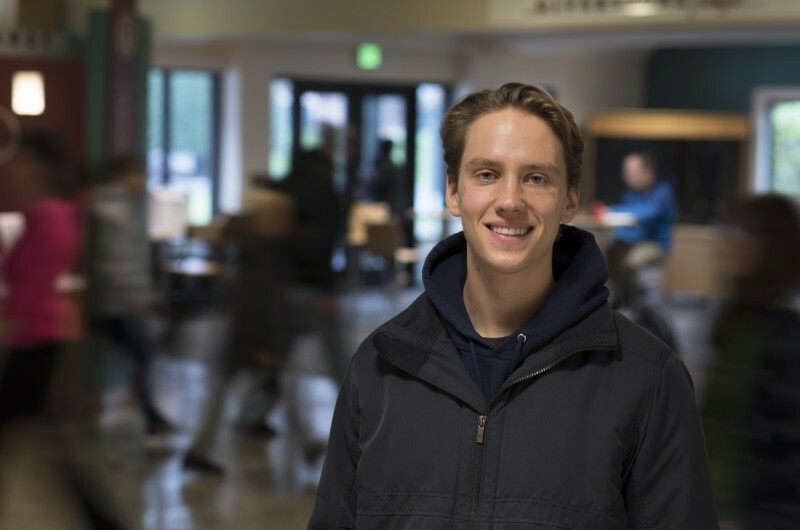 Max is a senior who plans to combine his passion for environmental science and desire to make the world a better place into a career as an environmental accountant. Thanks to Loggers like you, Max now has the curiosity, confidence, and skills to make extraordinary contributions in this emerging field. "I want to make a difference in the world." 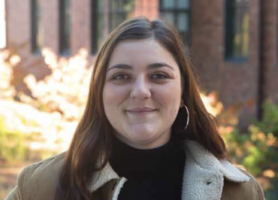 Emma is a senior with a passion for Middle Eastern politics. She spent her summer learning about conflict resolution at a mediation center in Tacoma. Now she hopes to influence public policy to create positive change on a global scale. When you make a gift to the Alumni Fund Scholarship, you empower exceptional students like Emma to reach new heights. "I want to give back to my community." As a summer-camp football coach, Miles taught kids how to translate the skills they learned on the football field to life. 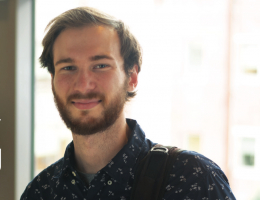 As an international business major, he hopes to make a positive impact on a global scale. Thanks to Loggers like you, this Alumni Fund Scholarship recipient is on the path to changing the world. "I didn't think I would be able to afford college." Avery is a Tacoma kid. He graduated from Wilson High School and lives in Old Town with his grandmother. 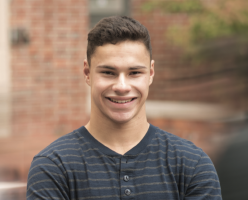 He enjoys taking classes across all areas of study, but hopes to study Politics and Government in preparation for his dream of becoming a lawyer. 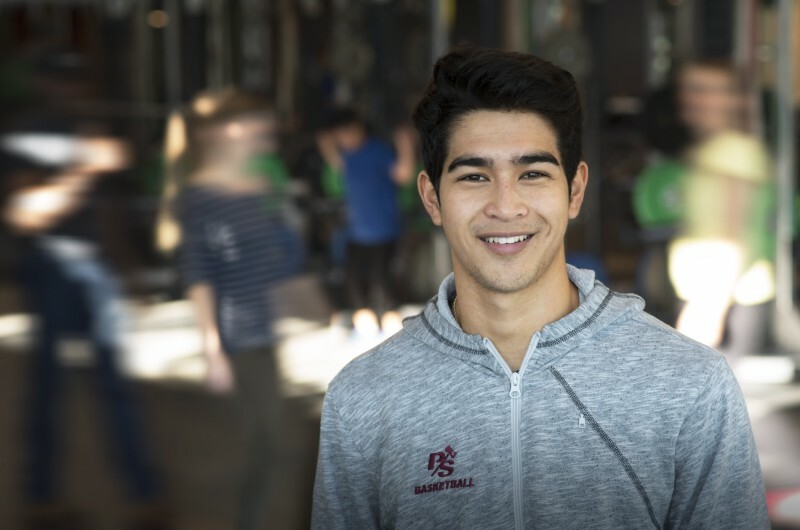 He credits the Alumni Fund Scholarship with helping him be here at Puget Sound pursuing his dream! "I wanted to go away to school, but still feel close to home." Zach is the first person in his family to attend college. Coming from Hawai'i, he appreciates Puget Sound's small class sizes and playing college basketball. He appreciates alumni support that allows Hawai'i kids like him to come have a Puget Sound experience.